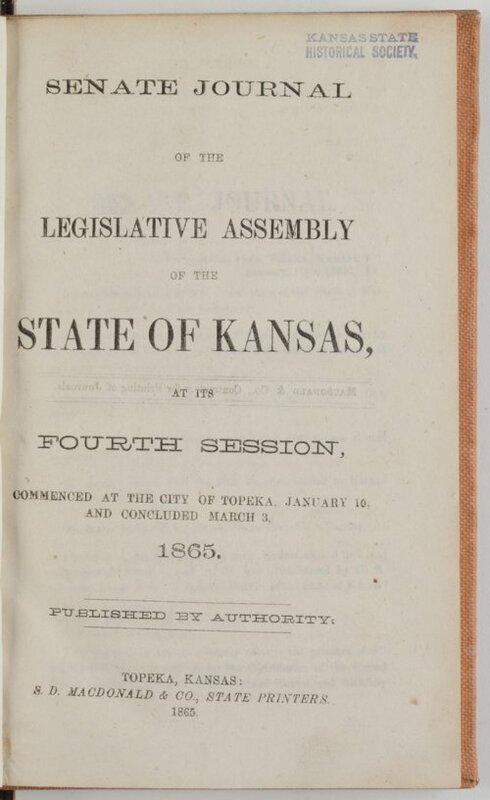 Daniel H. Horne gave this speech about the abolition of the institution of slavery at the adjournment of the Fourth Session of the Kansas Senate on February 20, 1865. The Senate and House both unanimously passed Senate Concurrent Resolution no. 42 on February 7th, ratifying the Thirteenth Amendment to the U. S. Constitution.